Home » Destination Packing Lists » Liveaboard Diving Travel Essentials + Giveaway! Liveaboard Diving Travel Essentials + Giveaway! For me, one of the aspects of the ocean I’m most passionate about are sharks and Thailand brought me two very distinct experiences with these majestic creatures: non-cage diving with the fearsome BULL SHARKS on Sail Rock and getting up close and personal with my beloved LEOPARD SHARK while on my Similan liveaboard diving trip. When planning my 4-day liveaboard diving trip in the incredible Andaman Sea in Thailand, I was a bit lost as to how to pack for my short adventure. To help you with the basics, Noonan Rubick; TFG reader and scuba diving enthusiast, has helped me put together some travel essentials you’ll need when doing a liveaboard trip. Because not everyone has their own dive equipment, this list only pertains to clothing and general travel gear and only sticks to the essentials. As always, weather is a major factor in your packing choices. While some destinations are warmer than others, err on the side of caution and pack warm clothing because the longer we spend submerged under water, the colder we feel. While a forecast can’t always be reliable, at least get an idea about weather averages during the day and most importantly at night, when temperatures can plummet in some areas. It’s important that you take good care of your skin and hair because the sun and the sea may be beautiful to experience but they’re tough on your body. Sunblock – always protect yourself from the sun’s damaging rays that are stronger in the water! Lightweight sundress – a boat is a great setting for a photo shoot – live it up! Cover up dress – I like to wrap myself up as soon as I get out of my wetsuit and an easy to wear tube dress or Sarong dress might be nice to slip in and out of with ease. Choose a fabric that dries easily because no matter how many ways you can use a sarong, that fabric takes ages to dry. Fleece – Depending on the location, at night it might get chilly in the middle if the ocean especially after you’ve been in the water old day. It’s important to packs clothes that can help keep you warm after a day in the ocean and to soothe you right to sleep. A fleece hoodie keeps you warm and dries quickly, too. You have to remove your shoes as a standard practice on boats so flip flops are more than enough to get you to and from the boat but if you have in between activities planned, water shoes might be a good idea. Underwater camera case – this is one of my travel techie must haves. I love to capture those once in a lifetime underwater images. If you’re a serious about diving, invest in a camera case and skip the waterproof cameras that can only be used down to 10 meters/30 feet. TFG recommends: Canon camera set because so many divers have recommended this to me and their shots are amazing! It’s all about the white balance setting. Travel tip: invest in your own Dive Mask if you’re an avid diver. A dive shop’s leaky mask can ruin your entire trip. Not all diving liveaboard experiences are the same and not all provide the same amenities. Inquire about your inclusions such as towels and toiletries. Also, determine if there are any side trips or activities during the dive trip that require that you bring shoes or other items. Although this list doesn’t cover what you should pack when you’re not on the boat, this is a guide to help you choose what you should bring on board. For this special scuba diving packing list it’s less about fashion and it’s more about practical clothing and protecting your beautiful skin! One of my favorite travel activities and personal passions is diving and the ocean. For this liveaboard diving packing list, I bring you a special giveaway to share my love of marine life with you lovely travelistas! Whether you’re a diving fanatic or an ocean lover, enter to win the new PLANET OCEAN documentary on DVD or Blu-ray. (US residents only, sorry!) With beautiful cinematography and actor Josh Duhamel narrating, this documentary takes you around the world on an unprecedented journey into the least known regions of the earth. It touched me and rekindled my interests in protecting a place I cherish. TFG recommends: The Dive Inn on Koh Phangan were absolute rockstars when it came to diving the famous Sail Rock in the Gulf of Thailand. If you have time in between Full Moon Parties and island hopping, stop by and check out dive this amazing site with beautiful coral, large schools of fish, and possibly even bull sharks. For more info, check out my review! What are your scuba diving travel essentials? 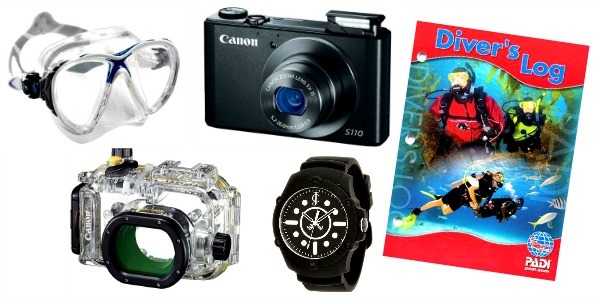 Hope you liked this post on scuba diving liveaboard travel essentials. Please share it with your friends on Facebook, Twitter, or Pinterest. Thanks for reading! Yay liveaboards! A few must-haves for me: Bonine (a nice alternative to Dramamine), 2 bikinis (staying wet between dives can get chilly and chafing, a two-piece gives more options, is easier to hang on the boat railing for drying, and is easier to get on and off), a sarong (great as a curtain in your cabin, light sheet for hot nights, extra towel, cover up…), 2-3 secure clips that fit the railing of the boat (hang up and dry out your suit in between dives), headband (keeps those flyaway bangs out of your mask and out of your vision). Happy diving! great tips! I love scuba diving! If you do bring your gear, pack the essentials (mask, BC, regs) in a carry-on with a bathing suit, pjs, change of clothes and basic toiletries. The airline “forgot” to load our bags on the the connecting flight and we couldn’t get our luggage until 2 days later. The live-aboard couldn’t wait for us to wait for our luggage. We were scheduled to board the boat the next day, so it was good to have the essentials and only pick-up extras as needed. I was one of the lucky ones that actually had clean clothes to change in and sleep. And keep it light! You really don’t need a lot since all you do is dive, sleep and eat! 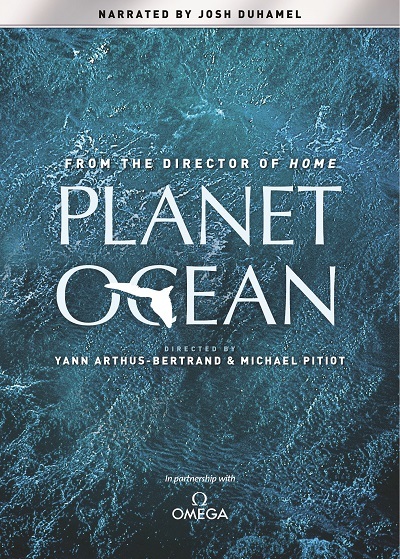 I would really love to be able to win a copy of Planet Ocean. I am a HUGE fan of Nature & Wild Life Documentaries, as well as anything to do with the study of Space, and all that’s contained within. I’ve never been diving before, but it’s on my bucket list! One of the places I would love to visit is the Great Barrier Reef. Crystal River, Florida. Touching a manatee was the coolest experience! My favorite dive spot is Cancun, Mexico. Share your favorite dive spot in the comments! Really don’t have a favorite spot. There is a lake near by everybody likes to use. Have to try it some time. I’ve never dove before, but if I did I would like anywhere that I could see coral reefs and amazing, brightly-colored fish!!! I have never gone diving before, so I don’t have a favorite diving spot. But I do love the Ocean, and try and go to the Coast every year with my wife. Usually around Santa Cruz and the surrounding areas. I also love Ocean fishing. I don’t have a favorite dive spot, but I love visiting the sound! Never been but I’d really like to try it someday! As for spots I wouldn’t know where to start. Any suggestions? The only place I have gone is Cancun. a beautiful place to dive! I’ve never been diving! So diving anywhere would be really cool for me! I live in Florida and there are springs that people always go diving in that I think would be fun. I’ve never been diving, but would love to go some day! So Far my favorite place to dive has been the Bahamas (Abacos Islands) Second favorite is Monterey, CA. Hi Jennifer! Monterey, really? what’s it like?